Damien Arnoux plays it save in the Youths, Enrico Marotti back in form and Brigita Viilop owns the women division. The tension builds up between the top Youth competitors. Damien Arnoux winner of the first elimination also qualified himself for the A final of the second elimination. A Total of 8 Heats were accomplished on the third competition day. The weather is very unpredictable but we hope to continue racing in the next competition days. Some competitors were out testing their biggest equipment, but unfortunately the winds did not last too long. 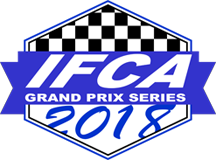 2017 IFCA Grand Prix Series Slalom Overall Champion Luka Mratovic from Croatia and the Vice Grand Prix Series Slalom Overall Champion Francesco Scagliola from Italy are both signed up. Italian Francesco Scagliola and Brigita Viilop from Estonia claim first victory. 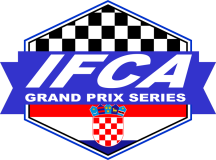 A TASTY WELCOME BREEZE FOR COMPETITORS AT THE SECOND STOP OF THE NEW IFCA GRAND PRIX SERIES.